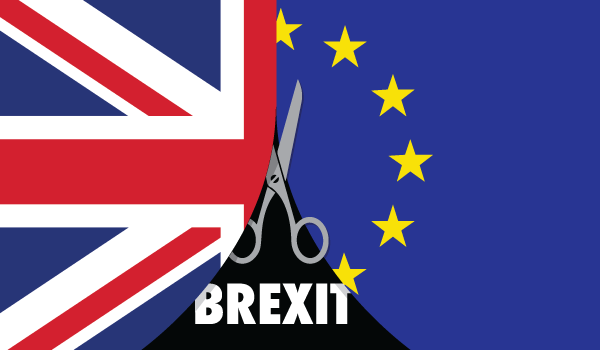 Home » News » Brexit delay: Reduced risk of no-deal withdrawal for medical device manufacturers? European Union Member States have granted UK negotiators a brief extension on their Brexit withdrawal date (Brexit Day). The British government has a small window in which to avoid a no-deal withdrawal scenario, but whether an “orderly” Brexit can actually be accepted remains a very open question. All 28 EU government leaders met on March 21st to discuss Brexit. The UK had decided to leave the EU on March 29th, but even at this late stage no agreement enabling an orderly separation has been struck. There is a proposal, but that has been rejected twice by the British Parliament. In case of a no-deal Brexit, trade between the EU and the UK would be severely disrupted and the position British citizens in the EU and EU citizens in the UK would be very uncertain. For that reason the EU summit attendees devoted a lot of time on finding a way to give the UK another opportunity to accept the proposed agreement, or to come up with something else. The proposed agreement has been rejected by the British Parliament twice, both with a very large margin opposed. On March 18th the British government had tried to have Parliament vote on this proposal again, but the Speaker of the House blocked this by invoking a rule forbidding a vote on the same proposal multiple times during one parliamentary session. Yet the EU has asked the British to vote again on the proposal, and this should be done before March 29th, the original Brexit day. This may require some legal gymnastics as this deadline seems to imply a third vote on the same proposal. If the agreement is accepted by the UK Parliament, Brexit will be delayed until May 22rd. This delay should provide enough time for preparations on both sides of the new border. However, it not certain this proposal can be brought to a vote, and if so, if it will be accepted in Parliament. If the deal is not accepted, a new deadline will kick in: April 12th. The UK has until then to come up with something new that is also acceptable for the EU leaders. If that does not work, April 12th will be the new Brexit day and the UK will leave without a deal. The dates of April 12th and May 22rd were chosen with a specific reason. On May 23rd there will be new elections for the European Parliament, held in all Member States. That also means that the UK must be out of the EU to make these European Parliament elections legally binding. April 12th is the last day the UK can enter its list of candidates for these elections. The EU has given the UK some extra time to make up its mind regarding leaving the EU. This has taken away the risk of a no-deal Brexit on March 29th. However, there is still a substantial risk of the UK leaving the EU without a deal. Therefore all preparations for this scenario must be made. As a softer Brexit will require many of the same preparations; it would be prudent for medical device companies to prepare anyway.